Obama-Hitler comparison defended by Arizona legislator…. Though her outrageous claim raised more than a few eyebrows, an Arizona Republican is sticking by the comparison she made recently between Barack Obama and Adolf Hitler. 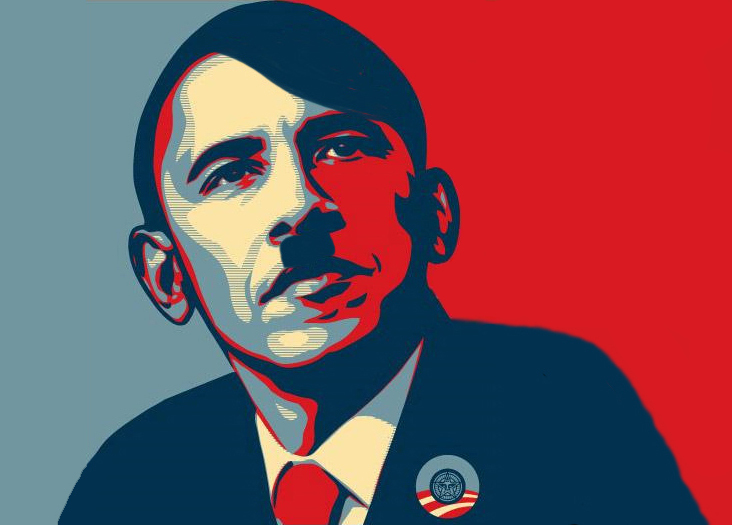 According to a Facebook post by State Rep. Brenda Barton (R-Payson), Obama has been behaving like “De Fuhrer” during the federal government shutdown. She cited a number of vindictive acts to drive home her point, such as the targeted patrol of war memorials in Washington, D.C. and the eviction of citizens living on federal land. Despite being ridiculed by the left, Barton has not backed away from her comments and has since made a number of comments in an effort to explain her position. She said that the way Obama is leading the U.S. resembles Hitler’s rule of Nazi Germany prior to the slaughter of millions of Jews and other minorities. The German dictator was also “elected by a majority of people,” she pointed out, noting that Obama has ruled with a similarly imperial manner. Her harsh criticism reportedly stemmed from frustration over Obama’s intention to cause as much inconvenience as possible during the shutdown. Barton also attacked Obama for failing to negotiate with the U.S. House throughout the shutdown. Since World War II, many leaders on both sides of the political spectrum have been compared to Adolf Hitler. This is a serious accusation, considering the unparalleled legacy of pain and hate he left behind. Barton, however, was attempting to illustrate the dire situation in which America currently finds itself. While her comments were unquestionably controversial, one imagines that was her intent. Few statements elicit a response quicker than a reference to Hitler. She encouraged anyone who disagrees with her analogy to “read your history.” Perhaps an honest look at the past would prove that her comparison is more apt than they care to admit.